The bronze conservatory clean package includes the full external conservatory: roof, finial and cresting. Clearing and cleaning the guttering and downpipes. Cleaning any fascia or cladding boards. All the framework, glass and sills on all the windows and doors. The silver package includes all of the Bronze plus the internal roof and frames, glass and sills on all the windows and doors. The gold package includes all the Silver package plus a maintenance check of all the windows and doors, oiling hinges and locking systems, checking that roof panels have not slipped, reconnecting guttering on the outside and resealing where necessary. The Platinum full conservatory valet includes all of the gold package plus cleaning any window fittings i.e. blinds or curtains, flooring, skirting board, lights and ceiling fans. We carry out work for a variety of commercial customers from individual properties to multiple sites and national contracts. NO JOB IS TOO BIG OR TOO SMALL. We specialise in school window cleaning (both public and state), higher education window cleaning and residential homes/nursing homes window cleaning. 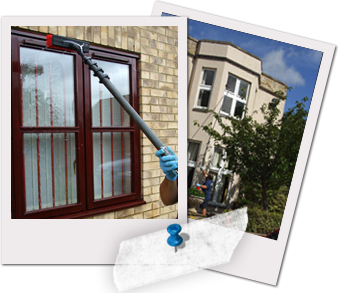 Prior to cleaning each property we carry out a risk assessment and a method statement. Please contact us for a free no obligation quotation enquiries@mvcs.co.uk.